The theme for this edition is “Durability as a deliverable” and there are a range of New Zealand projects that reinforce this message. 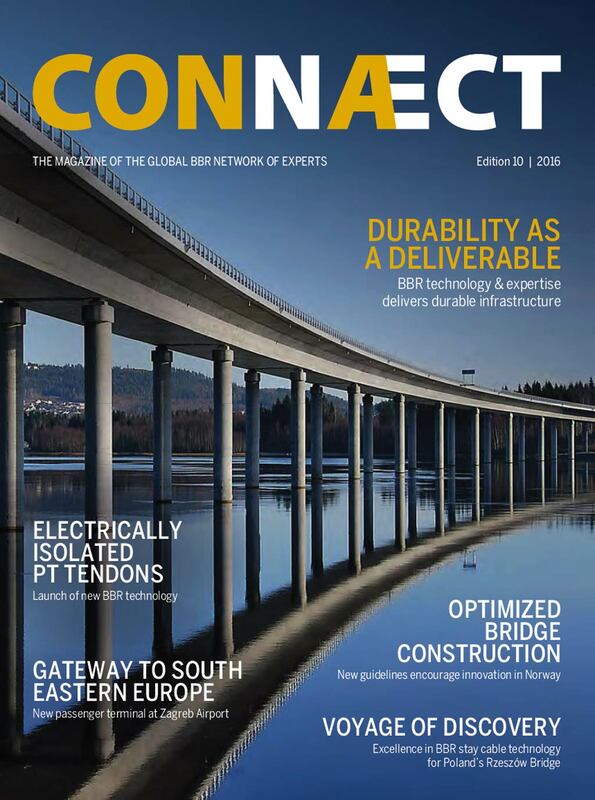 We profile the completed Otaio Rail bridge in Otago (p36) and our involvement in the landmark Hendon Park Footbridge being constructed as part fo the Waterview Connection project in Auckland (p61). In the special applications section we profile the strengthening work carried out on the Haitaitai Bus Tunnel portals in Wellington to add resilience to this important transport route (p65). Our involvement in new test hall research facilities at Universities in Auckland and Christchurch is also profiled (p68-69). Building projects are prominent with post-tensioned slab projects at Wiri Inland Port (p42-43), Sistema Plastics (p45) and a full feature on the 14-year partnership we have with Goodman Property Trust across its property portfolio (p48-50). To round it off, the magazine describes the extensive repair and strengthening work carried out on Ports of Auckland assets over a 20-year period (p71-73). A special acknowledgement to all of our clients and business partners who contributed content for these articles.